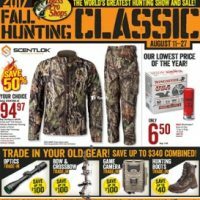 Bass Pro Shops Weekly Ad July 14 – 30, 2017. Freedom Days! 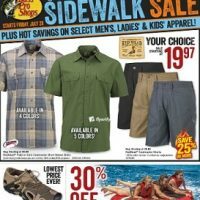 Browse our Bass Pro Shops weekly ad, Bass Pro Shops weekly circular and their hottest deals online. We are bringing on a single online portal all the best Bass Pro Shops ads and circulars. In 1971, young Johnny Morris, frustrated by the lack of tackle in local stores, rented a U-Haul trailer and took off across the country filling it with the newest premium fishing tackle he could find. When he returned home to Springfield, Missouri, Johnny envisioned creating one place where anglers could go to get all the best gear, much like golfers could do at a golf pro shop. With this simple but effective idea, Bass Pro Shops was born. In 1974, in response to this demand, he printed and mailed his first Bass Pro Shops catalog. 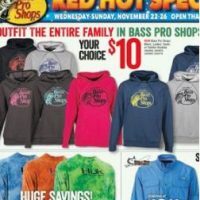 Today, outdoor enthusiasts around the world look forward to opening the mail and getting their favorite Bass Pro Shops catalog, while many enjoy visiting and shopping basspro.com. In 1978, Johnny introduced the first professionally rigged boat, motor, and trailer fish-ready “package.” The Bass Tracker boat package revolutionized the marine industry. From that simple beginning, Bass Pro Shops has become one of America’s premier outdoor retailers with destination outdoor retail stores across America and Canada, serving over 75 million sportsmen a year. As the times have changed, so have we. Today, huge boat showrooms are featured in every Bass Pro Shops store. Bass Pro Shops isn’t just about fishing anymore. Bass Pro Shops is also a leading outdoor retailer in hunting, camping, nature gifts, outdoor cooking, and much more. 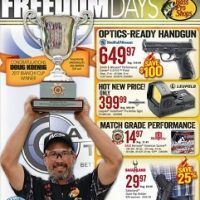 If you are interested in knowing more about the company, its statements, products, and special offers or discounts, please visit www.basspro.com. 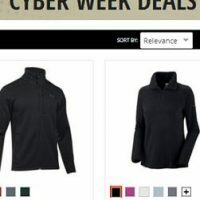 On iWeeklyAds you will find the latest Bass Pro Shops weekly ads and weekly circulars, online, on a single place.